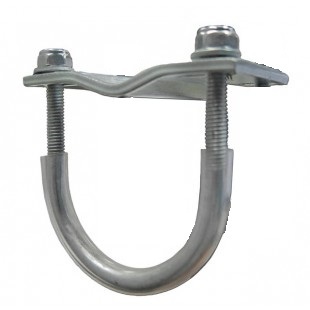 The Heavy Duty Universal Mounting Bracket provides the most secure and universal mounting on the market! A thick, metal plate sits against your engine, and a rubber insert between the plate and your frame is provided to reduce vibration. two u-shaped bolts wrap around your frame to give it a snug fit. The best part is they fir most bikes on the market! Don't be fooled by others' brackets that claim they're universal, these bolts have almost 2" of room to accommodate most mountain bikes and beach cruisers sold today.